Did you know April is Sexual Assault Awareness Month? Through the “Let’s Talk Teal” campaign, the City is partnering with the Arizona Coalition to End Sexual and Domestic Violence to raise awareness by collecting donations of items needed at the Family Advocacy Center to help victims of sexual assault. Beginning April 1, residents may donate a needed item to one of several locations throughout the City. Get Your #PaintsPHXPurple braclet today! Displaying purple throughout the community expresses a strong message there is no place for domestic violence in our community’s homes, neighborhoods, schools, or workplaces. 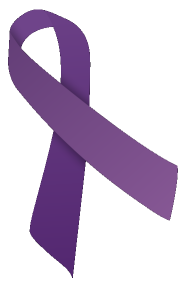 For more information about the Paint Phoenix Purple campaign, please contact the City of Phoenix or the Arizona Coalition to End Sexual and Domestic Violence. to ACESDV and help end domestic violence in Arizona.